The study concluded that “smoke or foul odor may lower retention up to 3 percentage points,” or “$300 on a $10,000 vehicle,” as priced in the Manheim Market Report. It also said dealers may spend even more money trying to remove or disguise the odor. Manheim handles the sale of nearly 7 million vehicles annually and offers odor removal among its many services.Cigarette smoke. Pet urine. Skunks. Vomit. Gasoline spills. Rat and roach droppings. Rotten food. Sour milk. Roadkill stuck in a car’s undercarriage so that the stink came through the vents. Those are just some of the smelly facts of life that can lead to odoriferous cars or trucks. Dealership salespeople and consumers avoid these stinkers, causing the vehicles to languish on the lot and lose value or get sent to the nearest auction. Odor removal is a necessity! You commonly see ads that say “non-smoker” and I guess that makes them more valuable than cars owned by smokers…..30% of the people I see in stop and go traffic are smoking and it has made me wonder…..how badly does this impact resale value? I realize some people will not even consider a used car owned by a smoker, you really cannot get that smell out, you can cover it for a while but it eventually comes back. Is this a major factor, say 10% to 20% lower or just a sales hassle factor, where some buyers won’t consider the car if it is disclosed it was owned by a smoker. As a trade in, cars that have a smoked in smell see a 25% hit, at the wholesale level, usually 18-22%. What about those 100 degree days and come and gone without any trace of the previous smoker/owners. The gag-inducing stench is one thing. Even if one were to attempt to treat or clean the seat fabric, headliner, carpets, and door panels… what about the underlying seat foam, carpet padding, and more subtle places where the vile odors have permeated? Aside from odors, there’ll also be a thick residue of yellow-brown nicotine and gummy tar that’s on every surface and in every crevice… it doesn’t readily come off. Cars are meant to be enjoyed by those who buy them. By buying a smoker’s car, many people feel like they were trapped in a rolling coffin, not wanting to breathe normally, and not wanting nice clothes or my body to come in contact with the malevolent residues. And adding chemicals to chemicals – it’s bad enough what they put into cars from the factory already. When tobacco is smoked in the confined environment of a car, tobacco smoke pollutants can reach extremely high levels . Volatile SHS components absorb into surfaces within minutes of emission, contaminating objects with which they come in contact. 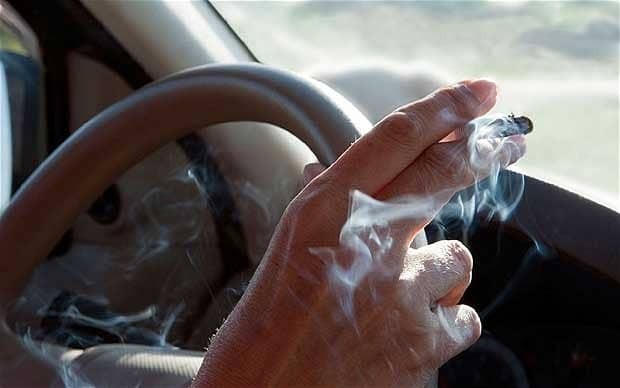 Subsequently, this residual SHS (also known as aged SHS or third-hand smoke [21,22]) is re-emitted into the air over days, weeks, and months, accumulates in dust, and deposits on surfaces [23–27], creating a route of exposure for drivers and passengers of smoker cars in the absence of concurrent active smoking. Secondhand smoke (SHS) contains more than 50 known human carcinogens and has recently been classified as toxic air contaminant [1,2]. Odor removal auto is essential as SHS causes premature death and disease in children and adults, and the scientific evidence indicates that there is no risk-free level of exposure to SHS. Unlike mechanical or electronic defects, detecting the signs of previous tobacco use in a car often requires little technical expertise from a potential buyer and odor removal auto services that are green and guaranteed will ensure that the potential buyer has no idea the auto was smoked in. Routine tobacco use leaves many telltale signs to prospective buyers. Foremost is a distinct odor caused by the re-emission of SHS contaminants from surfaces and dust that were polluted during active smoking. The used car market provides a particularly interesting opportunity to examine the value of a smoke-free personal environment, because a large and diverse cross-section of the general population in the U.S. sells and buys used cars. Moreover, a substantial portion of personal income is spent on the purchase and maintenance of cars. In 2005, 44.1 million used and 16.9 million new cars were sold in the U.S. [29,30]. These transactions totaled $780 billion, $367 billion of which were accounted for by used car sales. Approximately 30% of used cars were sold by private parties! Although asking prices for used cars are often informed by published pricing guidelines (e.g., Kelley Blue Book), sellers can advertise their cars for any price, buyers can offer any price, and the eventual sales price is subject to the local market forces of supply and demand. Sellers typically begin gauging an asking price by establishing the standard value of their used car based on its make, model, age, mileage, and condition. In addition, sellers often look up the asking prices of similar cars currently offered for sale by consulting the classified ads of local newspapers and used cars offered by dealers. Sellers then apply additional adjustments for factors believed to affect the value of a car in the community where it is sold that were not – or not sufficiently – included in the standard model. These adjustments may increase (e.g., chrome wheels; smoke-free car odor removal auto) or decrease the value of a used car (e.g., no air conditioning, smoker car).